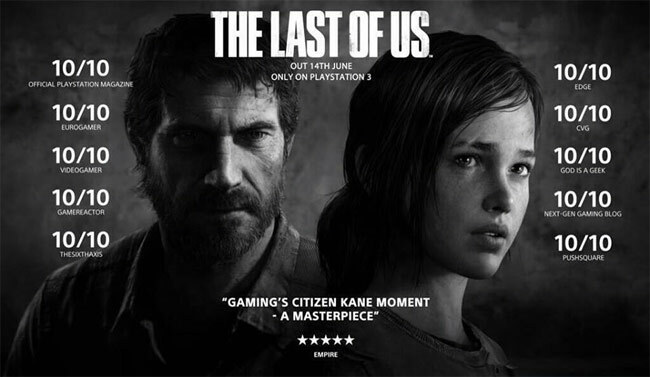 It has official been confirmed today by Sony that The Last of Us while be making its presence known on the silver screen. This shouldn’t come as a shock to many since anyone that has played the game will have considered what this incredible game would look like as a film. I personally always dislike when a video game/series becomes a film. They are generally awful. 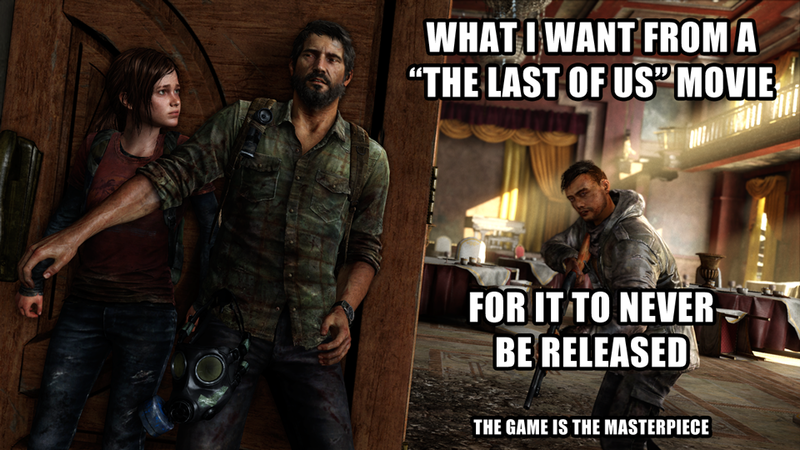 The Last of Us is basically already an interactive film, so why are they making a film? I DO however love that video game culture is becoming more present in other sectors of entertainment, but I just don’t want such a masterpiece to have a stain on its name if the film flops. The best part of this confirmation is the fact that so many people from Naughty Dog will be involved in the production of the film. Naughty Dog creative director Neil Druckmann is onboard for writing the films script, as well as involvement from the games director Bruce Straley, and Naughty Dogs co-presidents Evan Wells and Christophe Balestra. I’ll still take this announcement with a grain of salt though…. wasn’t there meant to be a Bioshock film? Warcraft? Infamous? Dead Space? Uncharted? etc? Don’t get me wrong, I LOVED The Last of Us, I’ll go see this film when/if it comes out. While I am on the side of hoping such a film never happens, I do wish the team involved the greatest success and truly do hope that it is the exception to the rule about video game films.